Reading for pizza -- that’s a beautiful thing. When BlogHer gave me the opportunity to try out Pizza Hut’s® new "Gluten-Free Pizza", through its partnership with Udi's® and their certified gluten-free crust, I was super excited. Now that we live in an area that was once dominated by Italians, I haven’t had their pizza as often. But those taste buds of mine have a definite nostalgic craving from time to time. At the present moment, the gluten-free pizzas are available in a 10-inch small size. I spoke with the manager at our location, and she mentioned that there have been quite a few people coming in and ordering the GF option lately. She was actually thrilled to hear I was reviewing it because she’s seen such a positive response and wants to get the word out. Cool, but how does it taste? First, we got our pie home and it was the perfect size for a mommy and me lunch. Well, and a few slices leftover for Stephen to sample as well. I will admit I was expecting a crust more like Pizza Hut’s pan pizzas -- so if that could ever happen, I’d be totally wowed! 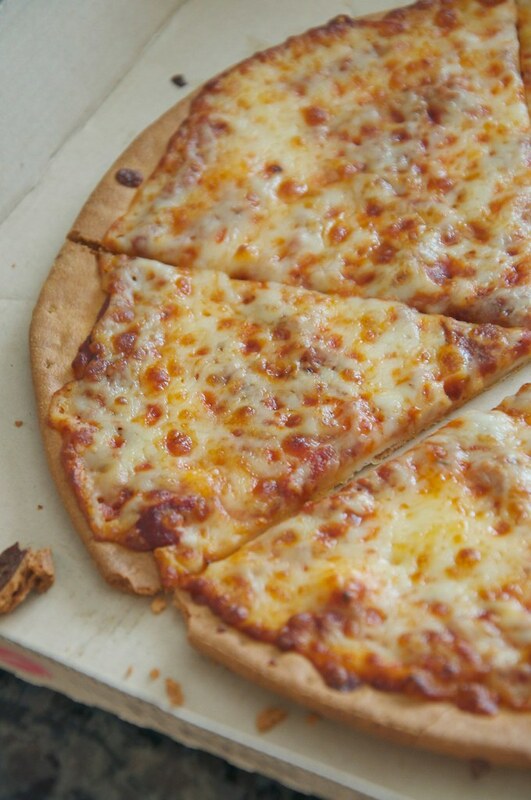 That being said, the thin and crispy crust was delicious with all the flavor I remember of Pizza Hut. And Ada ate her whole slice, so that’s a good review in itself. Though we aren’t a gluten-free family, we know many who do follow this diet and, well, it’s really a lifestyle. It’s nice to have gluten-free options on the go as much as it is to have vegetarian and vegan options. I like how both chain restaurants, like Pizza Hut, and local eateries are recognizing different diets and catering their menus accordingly. Now, SheKnows is hosting a sweepstakes! One reader will win a $100 Pizza Hut gift card to use at any Pizza Hut locations. 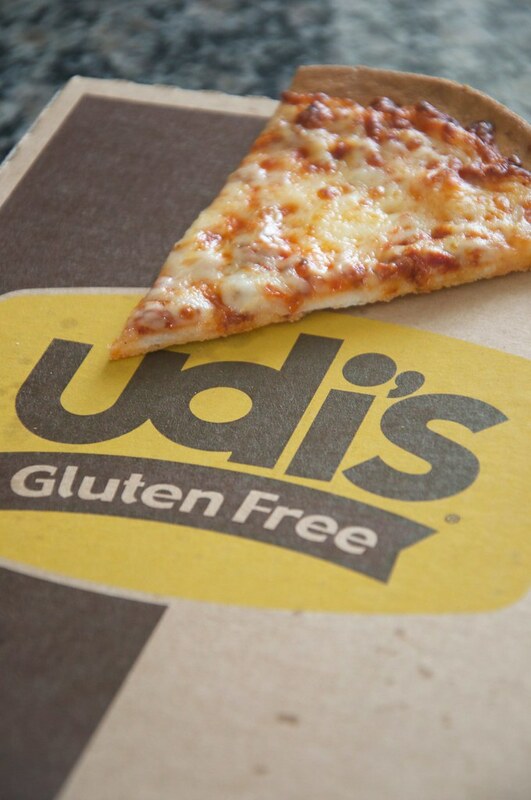 To enter for a chance to win tell me, who would you share your "Gluten-Free Pizza" with?